I recently came across the adorably sweet Etsy shop, Hankie Tankie. This shop offers one of a kind embellished tank tops, unique scarves, and eco-friendly tote bags. Not only are the pieces lovely, but the tank tops range from $19-26! I love this quote from the seller's profile, "once upon a time, my mom mailed me a package of vintage hankies with a note that said, 'do something with these!' 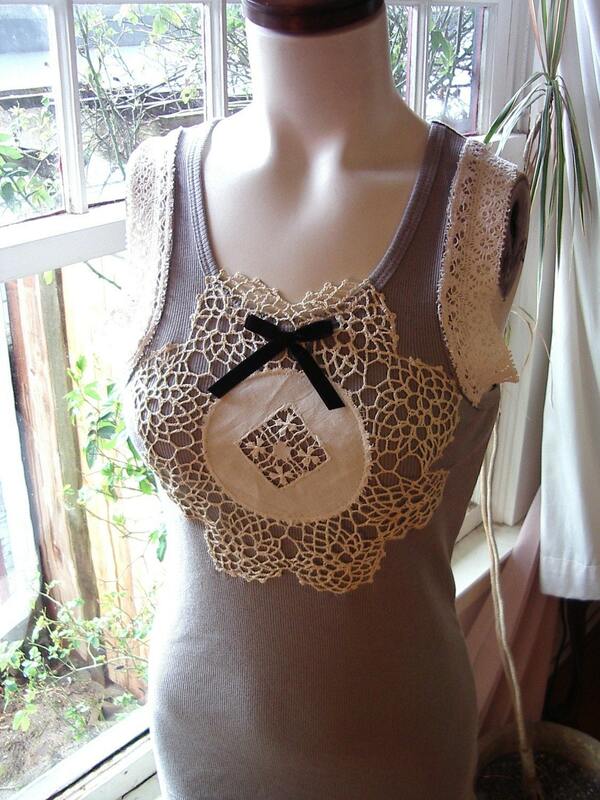 i had been experimenting with tank top designs, and voila! 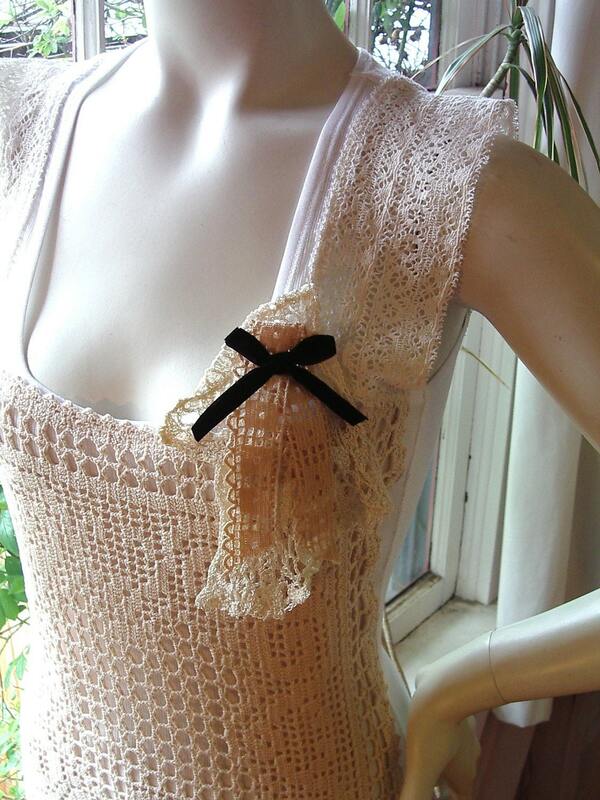 hankie tankie was born..."
I absolutely love the romantic feel of the lace and bows.